We’ll be keeping this page updated throughout the year. It seems like every time a cooperative deduction game hits the table, someone in my group ends up loving it. I think that’s because these types of games generally make you feel like you’ve really accomplished something when you’re able to solve whatever you needed to solve. For the most part, cooperative deduction games are about finding or giving clues, so chances are you’ll like most of them if you enjoy puzzles. There are some deduction games that are perfect for people who enjoy whodunit-type detective stories, and there are others that are great for folks who like the idea of giving their teammates clues about some type of hidden information. I realized when making this list with my group that there really aren’t that many good cooperative deduction games out there right now. A bunch more have popped up over the last year or so, though, so maybe designers are starting to realize that deduction is a fantastic mechanic to include in games. Since more of these games are coming out at a rapid pace, you can expect this list to get quite a few updates. You’re not going to find semi-cooperative games with traitors such as Dead of Winter here, but we might post those rankings soon! Witness and Stop Thief! are two examples of well-liked deduction games that could end up on this list after we’ve played and reviewed them. Rising 5 is all about figuring out which runes are needed to shut down a portal that the enemies are trying to get through. The game has a really cool app that you can use to take pictures of your current rune configuration and then it’s up to you to figure out how to move them around. 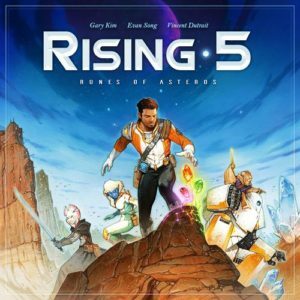 Rising 5 is a consistently fun and challenging game, especially once you figure out the right difficulty level to use with your group. Read our Rising 5: Runes of Asteros review. Get your copy of Rising 5: Runes of Asteros here. 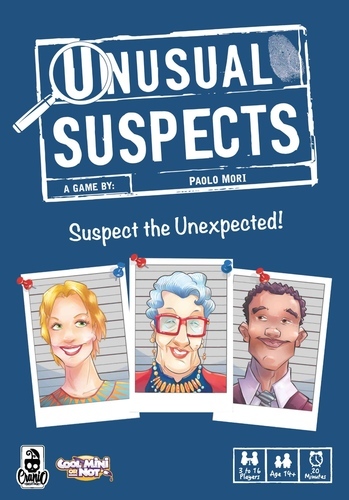 As I pointed out in my review, Unusual Suspects is a good game to get if you were ever a fan of Guess Who. It’s a simple concept: One player is a witness to a theft (with an odd memory), and the investigators are trying to figure out who the thief is from a 12-person lineup by asking the witness questions. 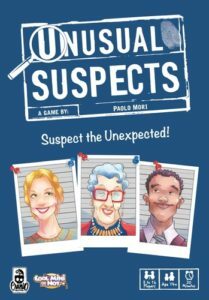 Unusual Suspects is probably the best deduction game for larger groups, but it can also work quite well at lower player counts. It’s a quick game, which is great because it gives everyone a chance to be the witness character at least once. Read our Unusual Suspects review. Get your copy of Unusual Suspects here. 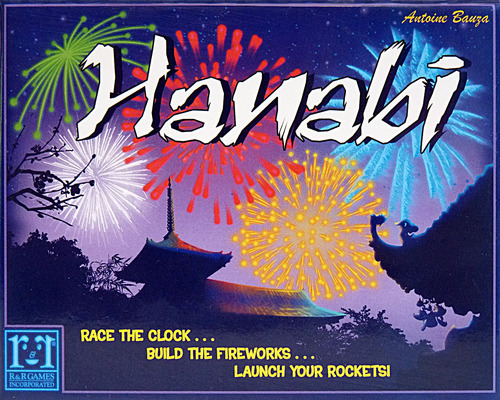 Hanabi is easily my group’s favorite small-box deduction game, and it has been for a while. You’re basically trying to figure out what’s in your hand by getting clues from your teammates. It definitely takes some time to get used to facing your cards away from yourself, and it’s still a challenging game for us after about 60 plays. I really do think Hanabi is one of those cooperative games that should be in most people’s collections. It has a ton of replay value replay value and it’s about as inexpensive as games get these days. Get your copy of Hanabi here. Mysterium is sort of like Clue, but with beautiful artwork and challenging cooperative gameplay. One player knows who committed the murder, but that player happens to be a ghost and has to visit the other players in their dreams to give them the clues they need. This is yet another simple deduction game concept yet it seems to be a big hit with most groups. Mysterium is on a lot of our different rankings on this site, including our all-around top 40 co-op games list. It’s a heck of a lot of fun to play and it looks fantastic on the table. 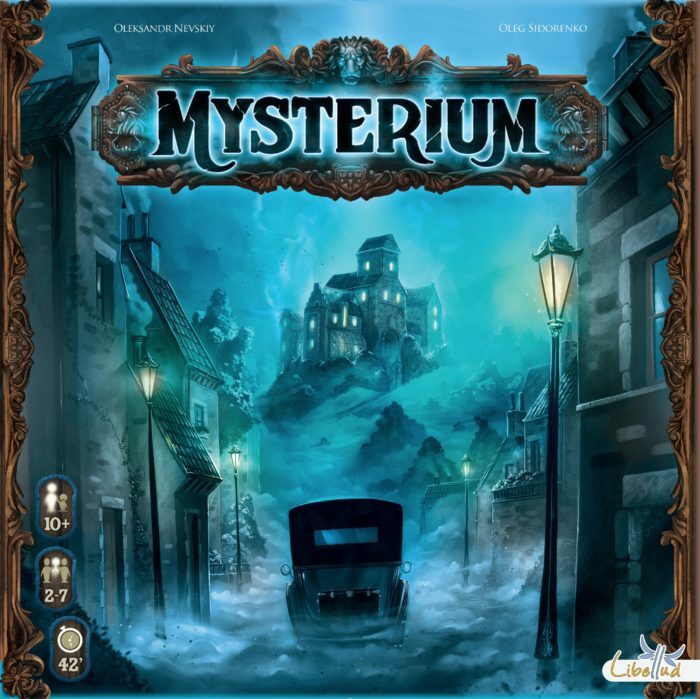 Get your copy of Mysterium here. Sherlock Holmes Consulting Detecting is the oldest deduction board game on this list (there are updated versions, though), yet it’s by far my group’s favorite. In fact, it’s one of our top 5 co-ops ever. I think it works well at every player count, but it’s best when you can get a group of three or four together to try to solve the cases. They’re all very challenging—it’s nearly impossible to beat Sherlock—but win or lose you’ll probably do what we always do and spend 20 or so minutes talking about everything that happened during the case. It’s just such a cool experience. 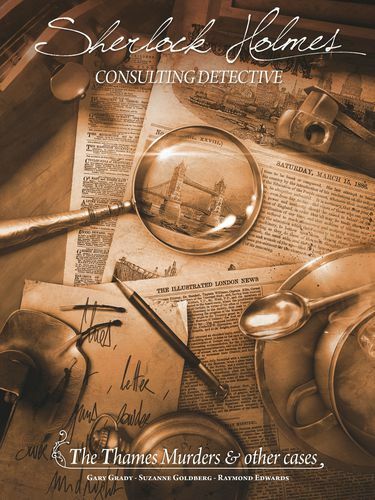 Read our Sherlock Holmes Consulting Detecting review. Get your copy of Sherlock Holmes Consulting Detecting here. Do you agree with our top 5 deduction game picks? Disagree? What are some of your favorites? Let us know in the comments!